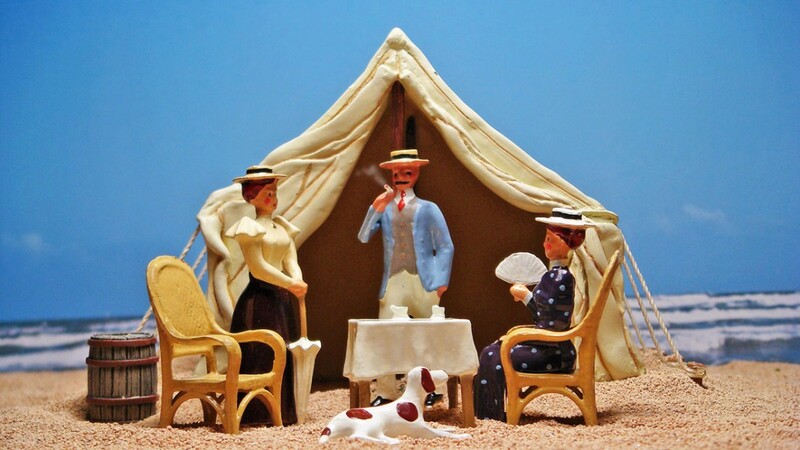 During the Gilded Age city dwellers liked to escape the hot summertime urban environment for the cooler shoreline. East Hampton was developed as a resort at this time and the "swells" of New York City were quick to discover its beauties. Artists such as Winslow Homer and William Merritt Chase helped to spread interest in Long Island and its beaches. Arthur Benson, Homer's wealthy uncle, was instrumental in developing the Montauk area. Bensonhurst in Brooklyn which he also developed is named for him. 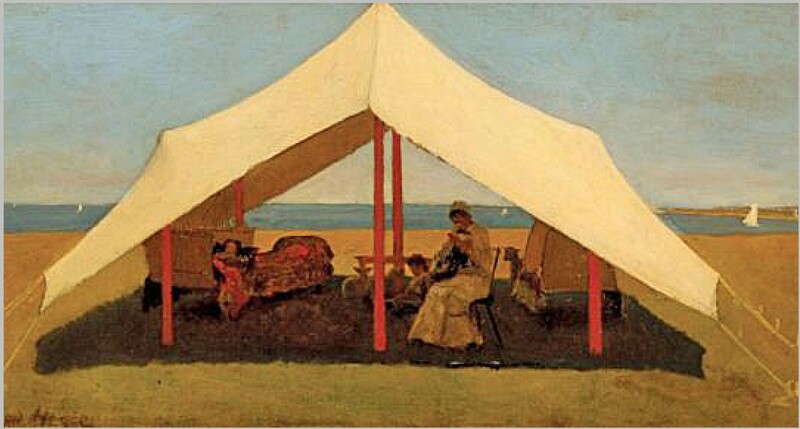 The scene was inspired by Winslow Homer's painting The Tent (Summer By The Sea) painted at East Hampton in 1874.